Lauren Kate, the author of Fallen series visited the Philippines last November 5-9 for her Fallen movie promotion at SM Megamall and Glorietta also for the book signing event at National Bookstore Greenbelt 5. 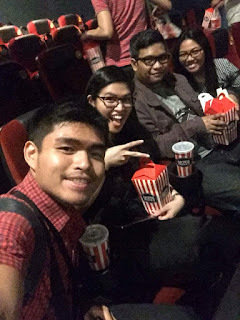 Lauren Kate visited together with the casts of Fallen movie Harrison Gilbertson (as "Cam") and Addison Timlin (as "Lucinda Price"). 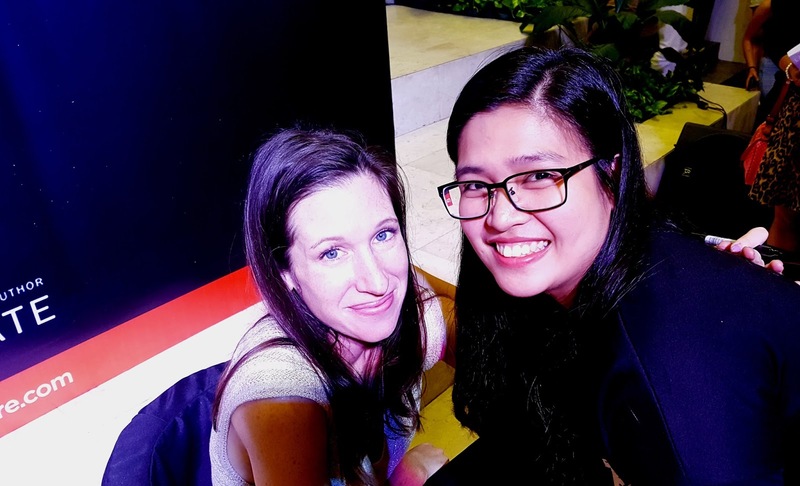 It was my first time to meet Lauren Kate and the experience was amazing! She's lovely and kind. 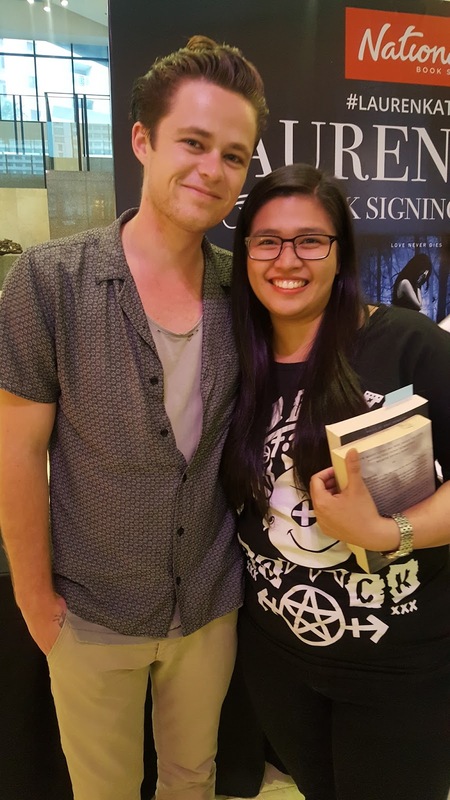 I asked her while she was signing my book if she's already tired from all the people who came just to see her and have their books signed. She said to me "No, it's alright I'm actually hyped up seeing you all and thank you for being here". I told her it was my first time to see her because I wasn't able to attend her previous signings and she said "You finally made it! Thank you very much for coming". Oh! 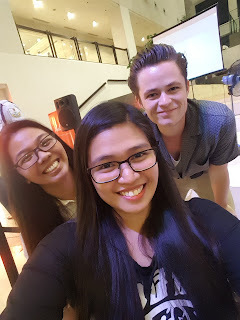 And I was able to talk and have a picture with Harrison Gilbertson. He's really kind. I told him I knew him from Need For Speed, he said "Really? That's awesome thank you for watching". He was standing the whole time, he hugged and talked to his fans and to everyone who wants to take selfies. 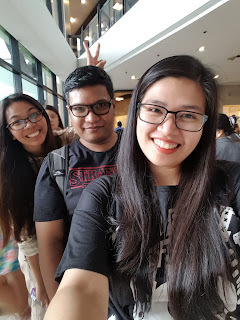 AND of course, being in a book event isn't fun without my lovely friends! 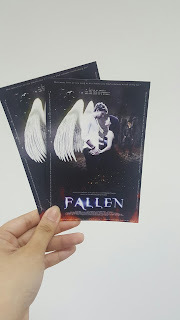 Days after the book signing was the Fallen movie premier and I am one of the lucky fans who won a movie ticket!